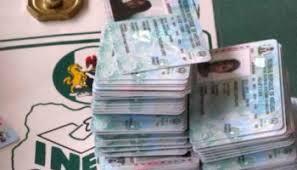 Barely 48 hours to the February 16 Presidential and National Assembly elections, the Independent National Electoral Commission in Kaduna State said that 3,659,996 residents have collected their Permanent Voter’s Cards ahead of the Saturday’s election. Alhaji Kaugama Abdullahi, INEC Resident Electoral Commissioner for Kaduna State, released the figure to the News Agency of Nigeria on Thursday in Kaduna. He, however, said that no fewer than 244, 092 residents might have finally lost the chances to participate in the general polls. However, 3,659,996 residents collected their Permanent Voter Cards, leaving a balance of 244,092 uncollected PVCs across the state. It would be recalled that the commission had fixed February 8 as the last date for those who did not collect their PVCs to do so. The date was later extended to February 11, yet over 244,000 PVCs were not collected by their owners.